EDA>UKE EDA - Counterweight to the primary branch (SACHI EDA) positioned on the opposite side of the tree to give the design balance. UME (JAPANESE PLUM) - Ume is an Asian tree SPECIES classified as genus Prunus. Its common names include Chinese plum and Japanese apricot. 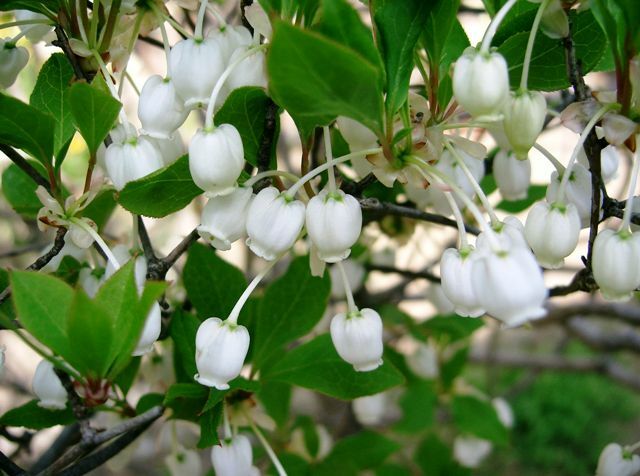 It is a DECIDUOUS TREE with oval, TAPER pointed, mid-green LEAVES producing blossom, FRUITs and large blooms of fragrant FLOWERS on bare winter branches. WARNING : Do not allow soil to dry out while in bud, otherwise buds will drop. 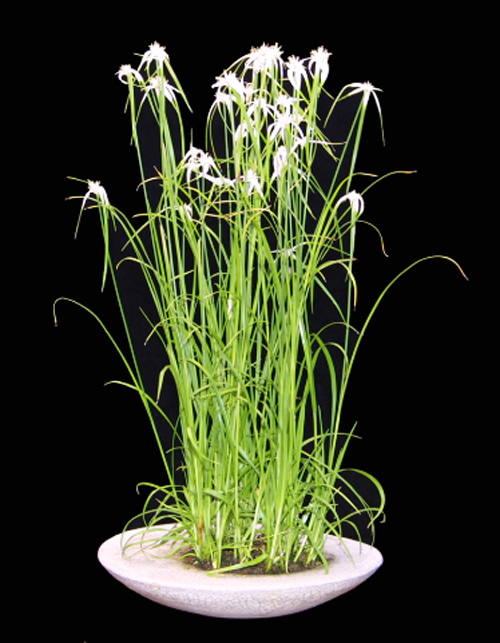 Protect from frost to avoid die-back or flower damage. Picture courtesy of British BONSAI>BONSAI. 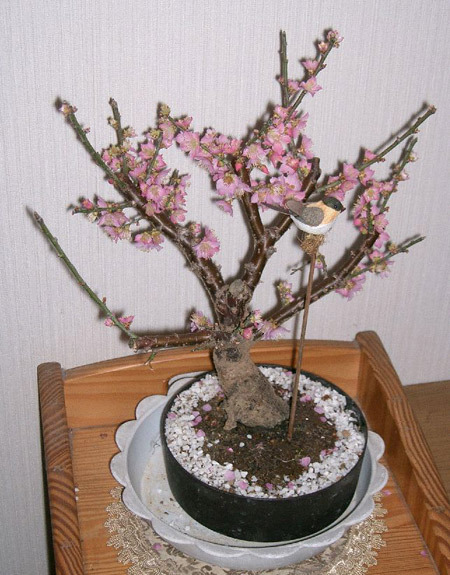 (Send Image) UNDERPLANTING - Growing of low growing, small plants underneath BONSAI>BONSAI specimens. UNIFOLIATE (LEAF) - Having a single leaf. 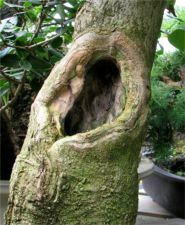 URO (HOLLOW) - This is a small hollow in the trunk of DECIDUOUS TREEs created to mimic the effect when, in nature, a branch is lost leaving an indentation where the branch used to be. 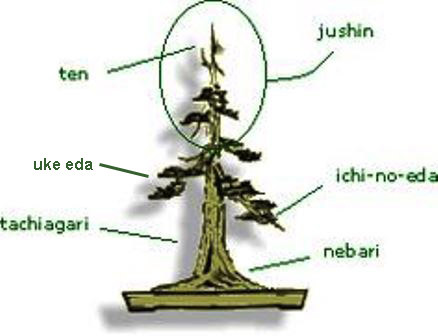 (Send Image) EDA>USHIRO EDA - Japanese term for the back branch of a BONSAI>BONSAI placed to give perspective to the image. There are 819 published entries in the Bonsai A to Z and the pages have been viewed 3061166 times. You can view all of the items in our Glossary of Bonsai Terms. Help us to increase the number of relevant bonsai terms included in this A to Z of Bonsai Terms. We include manufacturers and dealers in the dictionary, if you are one or know of one not mentioned then just click the link above and add an entry. If you have a favourite bonsai tree not mentioned just add an entry. We are trying to create a unique single free source for all bonsai terms and hope to capture worldwide bonsai terms for bonsai trees, bonsai clubs associations and national collections and the A to Z is free marketing for bonsai businesses and bonsai clubs.